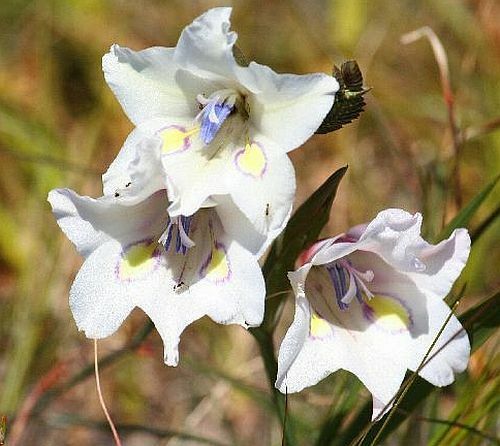 ﻿Gladiolus rudis grows in fynbos areas of the southwestern Cape of South Africa. In spring 2 -5 cream to pale pink flowers occur on a spike. The lower tepals have spear-shaped markings.